Maybe people aren't cooing over it the way they are the NBA 2K14 hype reel released Thursday, but NBA Live 14's gameplay trailer does have its virtues. To reiterate, no video game genre more than sports suffers from the over-promises of a next console generation and the point of diminishing returns we're reaching in recreating and refining games that are more than a century old. Most people claiming to spot something profoundly different are full of b.s. Absent raw, actual gameplay footage from a standard player camera—which no one has any incentive to show—the best way to spot real differences is to have them pointed out to you. That's why Madden NFL 25's latest next gen trailer, showing off more sophisticated blocking, is much more useful to a viewer (and to EA Sports) than using the game to simulate a Monday Night Football matchup. However, NBA Live has, you know, not released at all since 2009, meaning it shows more of a new game almost by default. It doesn't have the problem of, say, Madden, whose next-gen peeks on ESPN have been undercut by the fact the animations all look the same as the current generation version. That counts for a lot. So, highlights: You actually appear to catch some standard gameplay camera angles in this, if only for a second. 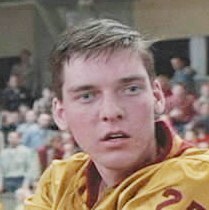 Player models are pretty good with the exception of Steve Nash, who looks like Rade Butcher from Hoosiers. (And Hard8Times, the guy behind the infamous Andrew Bynum crucifixion video three years ago, doesn't think much of Live 14 Nash, either.) Ballhandling fidelity is strong (but remember what I said about everyone being full of b.s.) and the biggest thing this video's editor wants you to remember. The transitions from ballhandling to moves to the basket still appears kinda choppy and last-gen-ish. I think NBA Live's video shows more of its natural gameplay than does NBA 2K14, though NBA 2K14 does a better job of showing how this comes together with the series' presentation—which already is damn good—to offer a more immersive experience. But I'm thinking the last clip—Kyrie Irving lobbing an alley-oop to Anthony Bennett—might be a message, too. This game has a different executive producer and creative director than last year's aborted NBA Live effort, but EA Sports is aware that making some highlight-quality moves contextual is key to greater playability—and its competition just changed up its controls for the third time in as many years. Basically, the reaction to both videos is reputation-based: NBA 2K14 is a clear leader and got raves for showing, frankly, very little. NBA Live 14 doesn't get any extra credit for showing up, because it's something the series has failed to do for three years. Both videos come in right around expectation, neither exceeding nor failing them.